After the success of mCent, another international rewards app –Mojo the app is making its way into the Indian mobile market , certainly a good news for users like us . 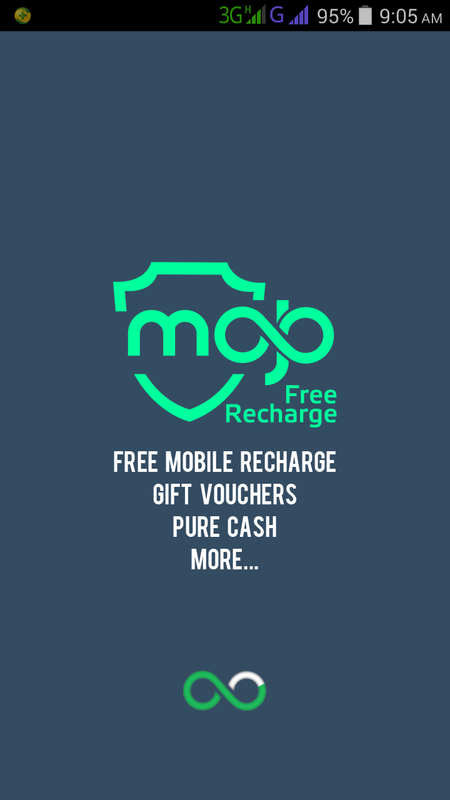 Mojo app not only offers free recharges , it also offers free Flipkart Giftcards and Amazon Cashcards! . also you can directly purchase the items by trading mojo coins if incase, you don’t want to engage in the acts of applying giftcards on the above mentioned shopping portals . Mojo credits/ mojo coins can be traded for mRupee, Free Recharge, PayTM coupons ,flipkart and amazon giftcards! They have added Book My Show vouchers too! . Mojo has the highest number of offers i have ever encountered in a free earning app! Click here to download Mojo! Introductory Offer ! – Get Into my clan to get even More offers! As an introductory offer , I am inviting you to join my clan in mojo so that you too can earn even more as its based on rank. I have already achieved Golden Member status for the clan, hence you too can get more offers and more earnings as our clan increases! After Signing-in go to menu – > Settings – > Now click on the Settings icon , and select the “Add Refer” option and enter the code “390216971″ and click on “add” . I hope, we all will enjoy once again this time with free gifts and as always free recharge . Great post with very useful information. More information click on this flipkart discount coupons. It is a stunning post. Exceptionally valuable to me. I preferred it .Swipe Your Credit Card And have Immediate cash With Cheapest Costs. Provide Your ID Card Photo Copy As A Document Resistant.Take a look to my site Credit Card Swipe For Cash at low interest.